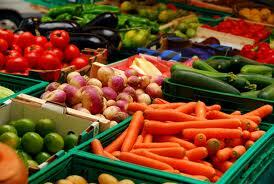 The “Dirty Dozen” and “Clean Fifteen” a quick look at high/low pesticide laden food! Pesticides on fruits and vegetables is nothing new. A healthy diet includes lots of fruits and veggies and the benefits typically outweigh the risks of the threat from pesticides. Here's a link to an excellent article listing the "Dirty Dozen", twelve fruits and vegetables to be wary of for the excessive use of pesticides, and the "Clean Fifteen", fifteen fruits and veggies that are given the thumbs up on low pesticide risk..